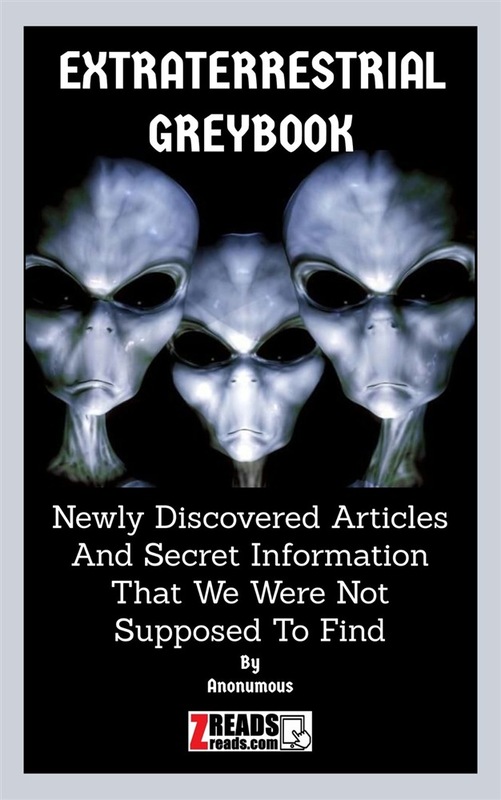 EXTRATERRESTRIAL GREYBOOK Newly Discovered Articles And Secret Information That We Were Not Supposed To Find By Anonymous Discovered And Edited By Matthew Mystic On 01/24/2019 this was sent from an anonymous source from an anonymous e-mail. After reading this writing I could not believe what I was reading. Forget about "Project Bluebook". This is the all new EXTRATERRESTRIAL GREYBOOK I dont think anyone was supposed to see this. If you don't believe that extyraterestrials exist and that our government (United States) (Great Britten) have been and are still working with extraterestrials and many different alien types that I don't think you will ever be convinced. This information is such an "eye opener" that no one want's to take responsibility or credit for it. This is such a combiniation and to what appears as classified information that the best way to grasp what is exposed in this books is to review the table of index. 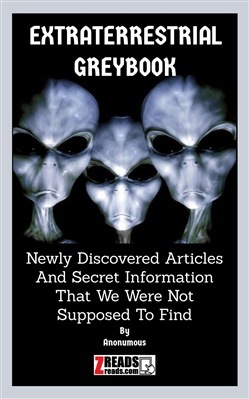 Table Of Contents: EXTRATERRESTRIAL BLUEBOOK Newly Discovered Articles And Secret Information That We Were Not Supposed To Find By, Anonymous Alien Descriptions - Varieties. Extraterrestrial Civilizations. Types of ETs. The Various Kinds of Extraterrestrials. Alien Origins. Alien Encyclopedia. Ancient Cultures/ET Timeline. The Case for Humanoids. 51 Multidimensional Reality: UFO's And Aliens. UFOs & EBEs. Dropas Crash: 10,000 BC. How Would Humans React If ET Landed? Other Intelligent Beings Exist. The 'Alien Breakdown Syndrome'. Review of ETs in the Solar System. Disney's Legendary 'Alien Encounters' Sneak TV Documentary Quotes. ETs Interacting With Us. Just Say Cheese! Do Aliens Exist? Astronaut Believes There's Life Beyond Earth. Already Visited and On The Moon. Former President Reagan on the "Alien Threat? The Shocking Truth. The Alien Presence On Earth. Nature Of The Alien. Dreamland In The Rockies. The ET Global Connection: A Lecture by Alex Collier - part 1 of 5. NATO Meets E.T. 167 A UFO Conspiracy Hypothesis In A Religious Mode. Acquista EXTRATERRESTRIAL GREYBOOK in Epub: dopo aver letto l’ebook EXTRATERRESTRIAL GREYBOOK di Anonymous, Matthew Mystic ti invitiamo a lasciarci una Recensione qui sotto: sarà utile agli utenti che non abbiano ancora letto questo libro e che vogliano avere delle opinioni altrui. L’opinione su di un libro è molto soggettiva e per questo leggere eventuali recensioni negative non ci dovrà frenare dall’acquisto, anzi dovrà spingerci ad acquistare il libro in fretta per poter dire la nostra ed eventualmente smentire quanto commentato da altri, contribuendo ad arricchire più possibile i commenti e dare sempre più spunti di confronto al pubblico online.